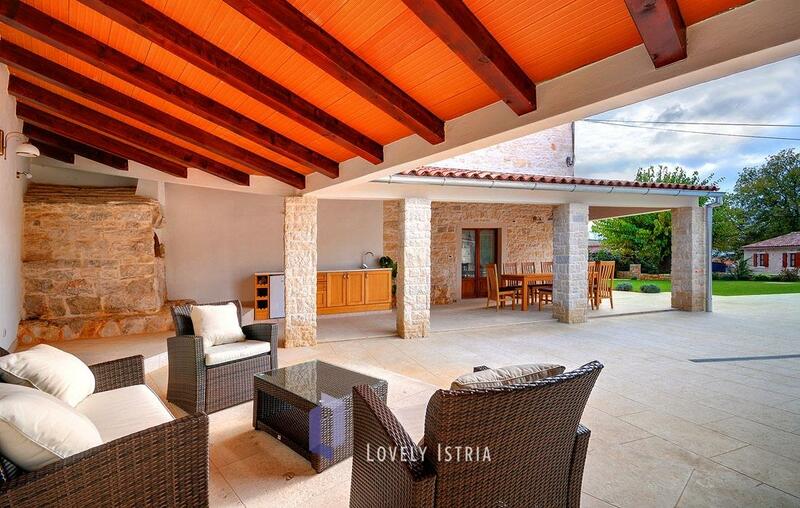 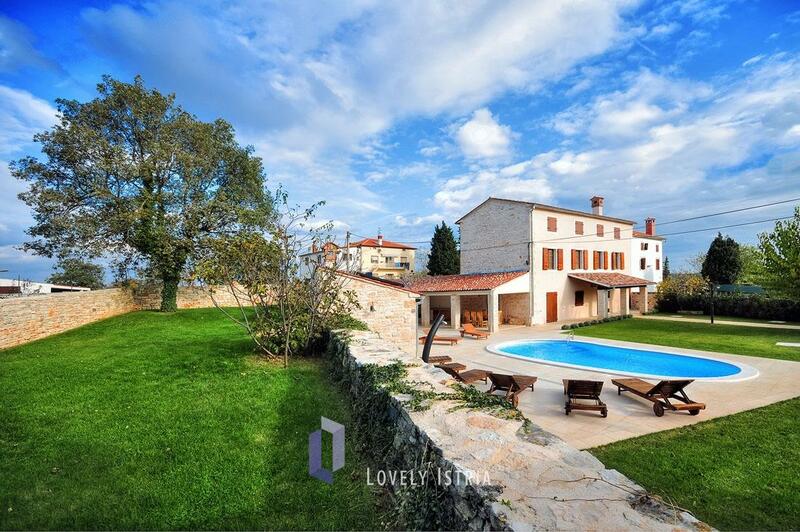 For a true luxurious countryside experience, rent a villa in Istria – Villa Moncalvo. 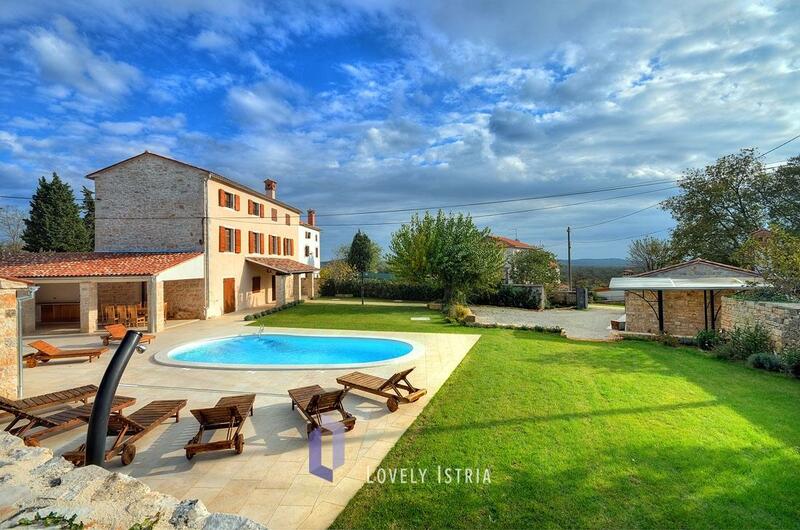 It was named after Istrian type of rural farm complex or stancija Golaš – Moncalvo. 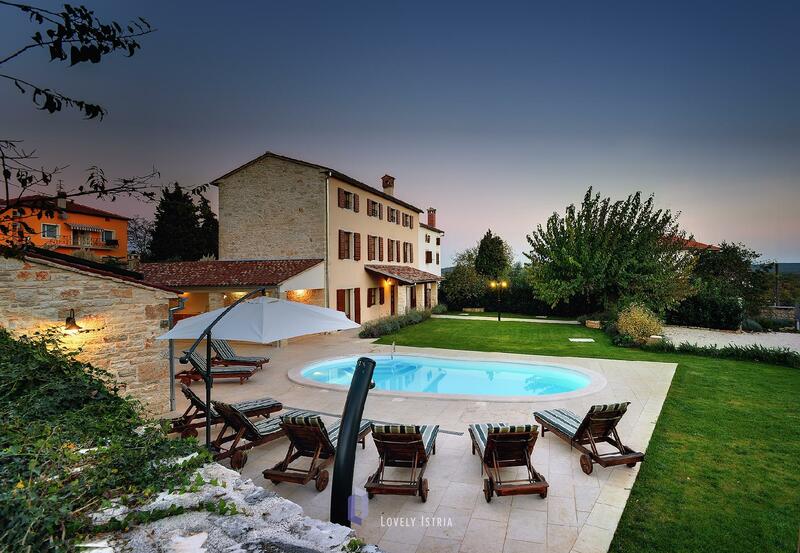 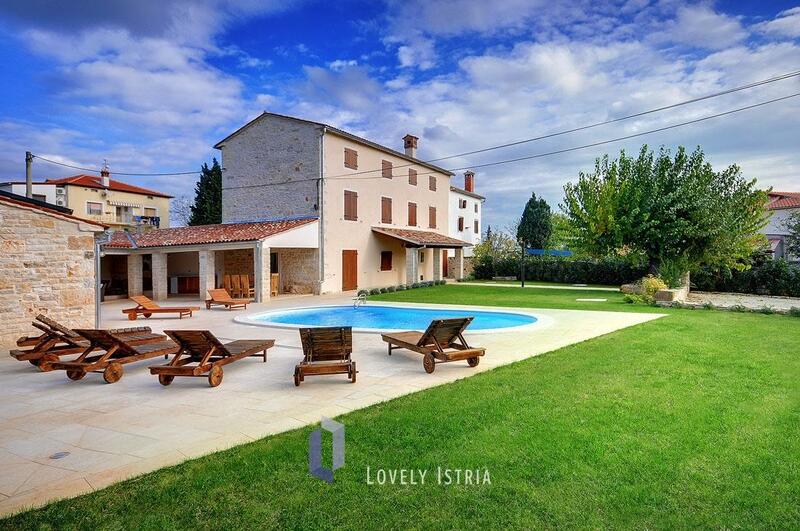 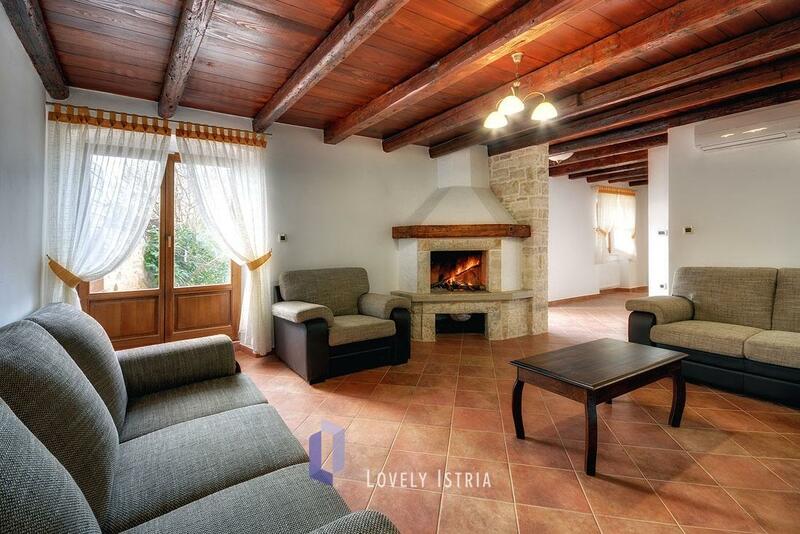 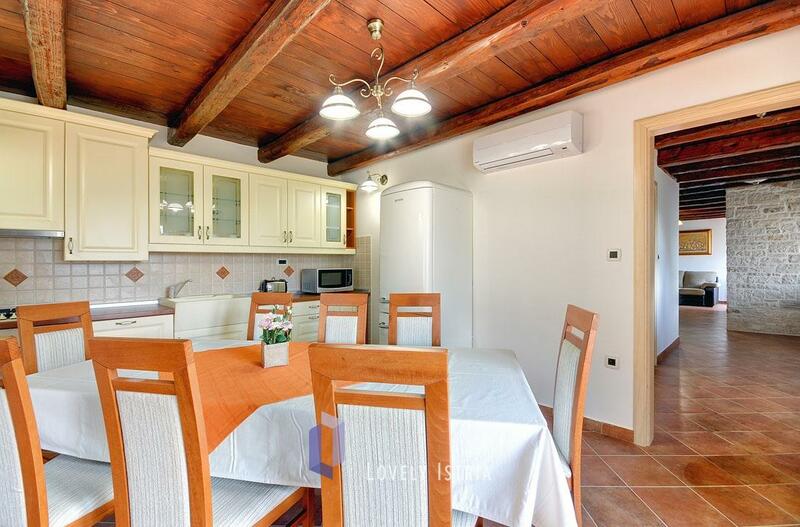 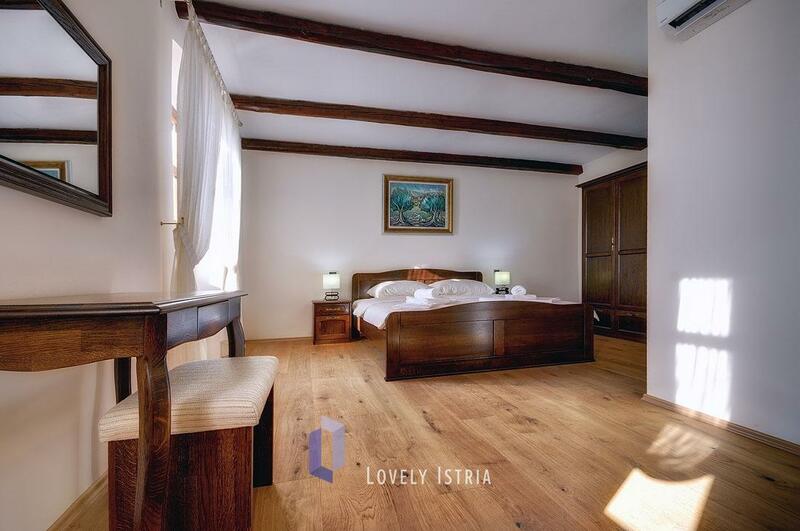 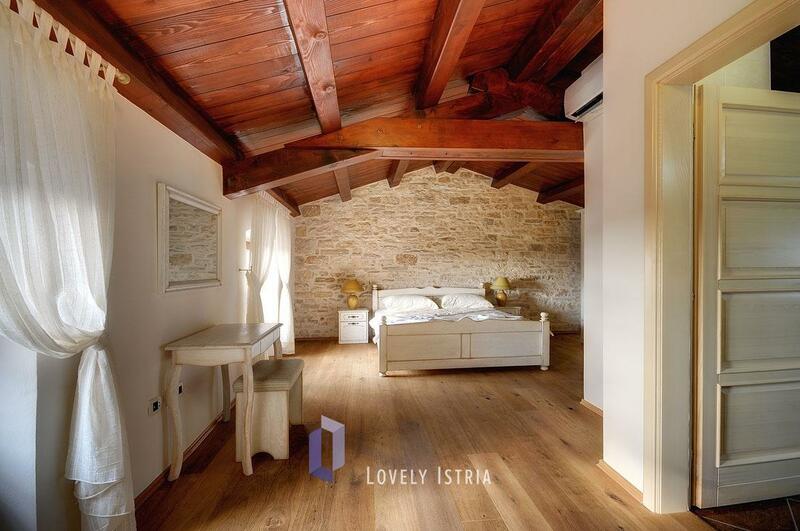 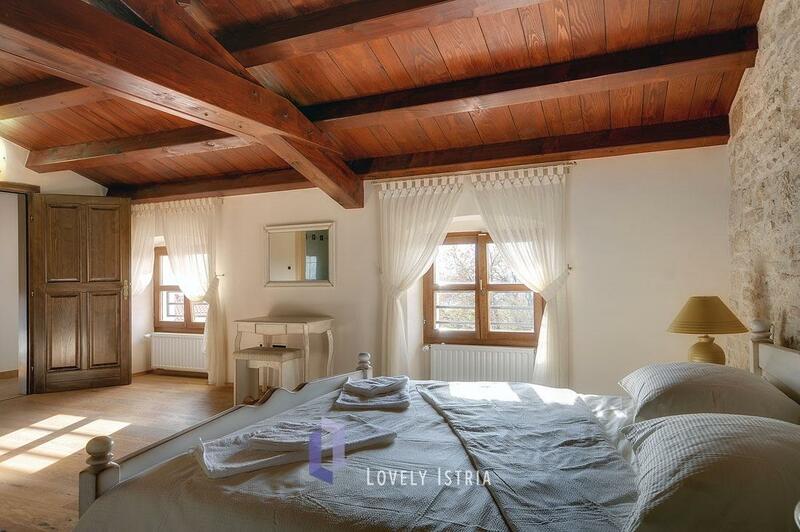 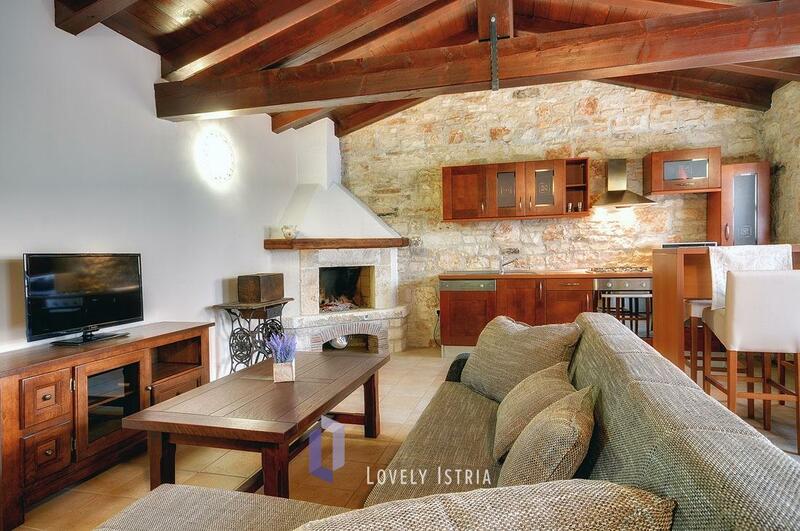 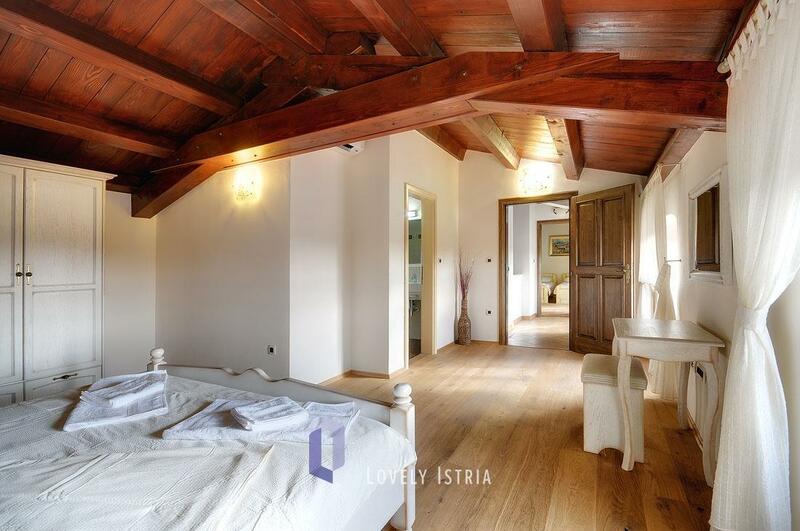 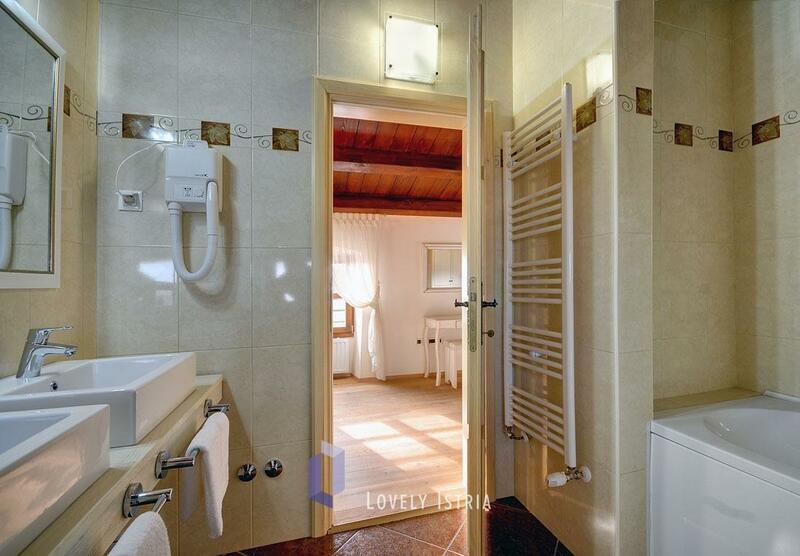 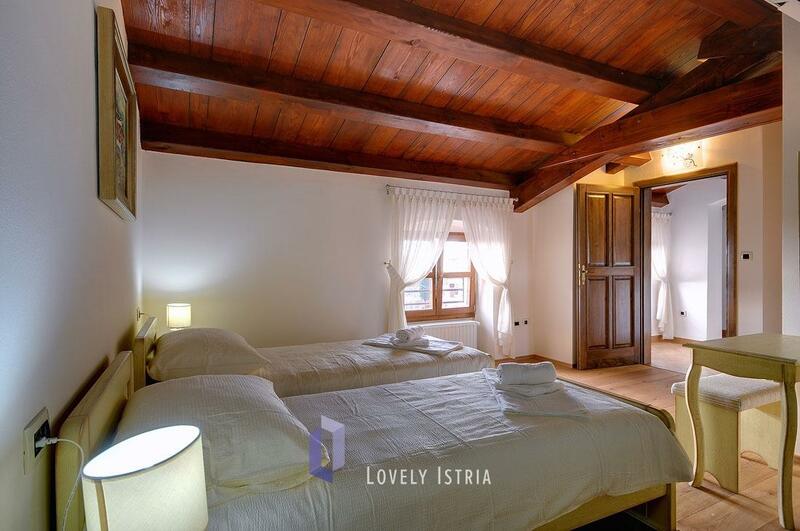 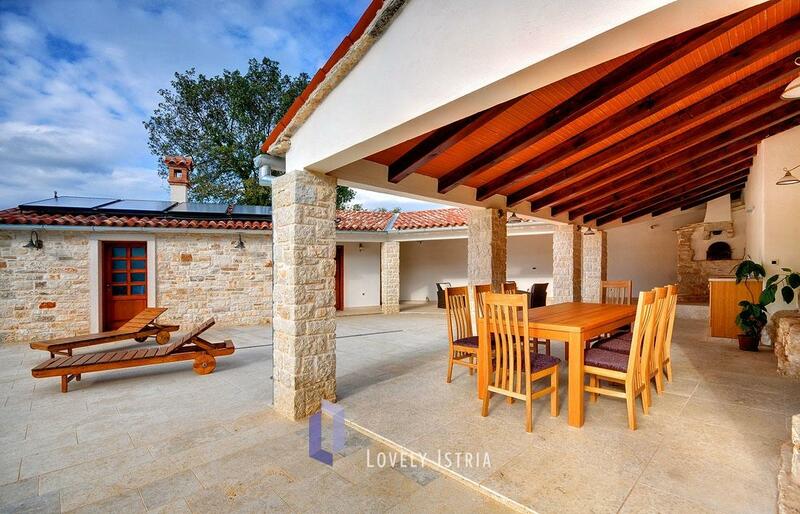 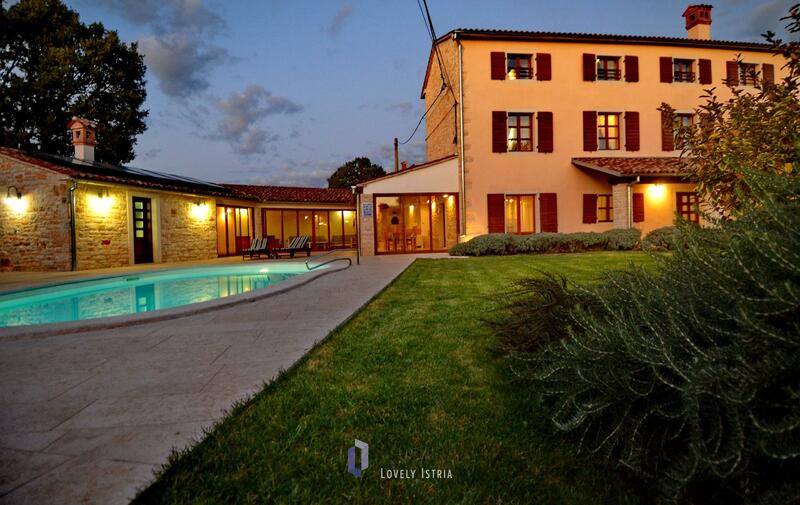 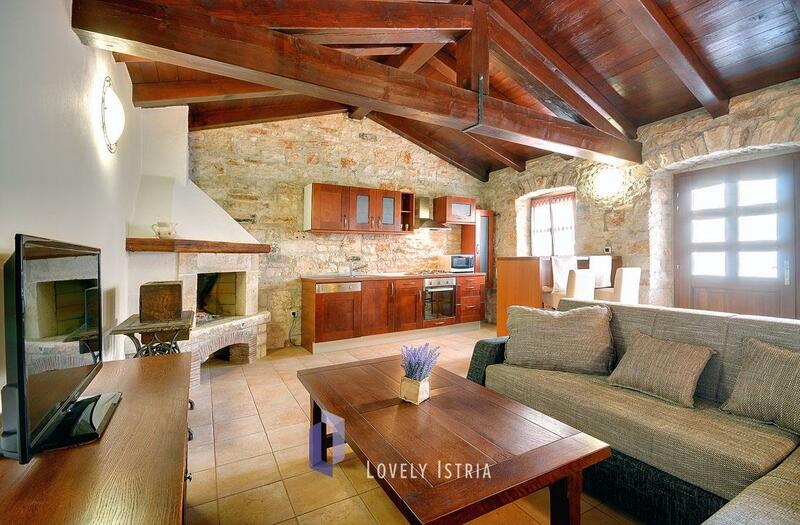 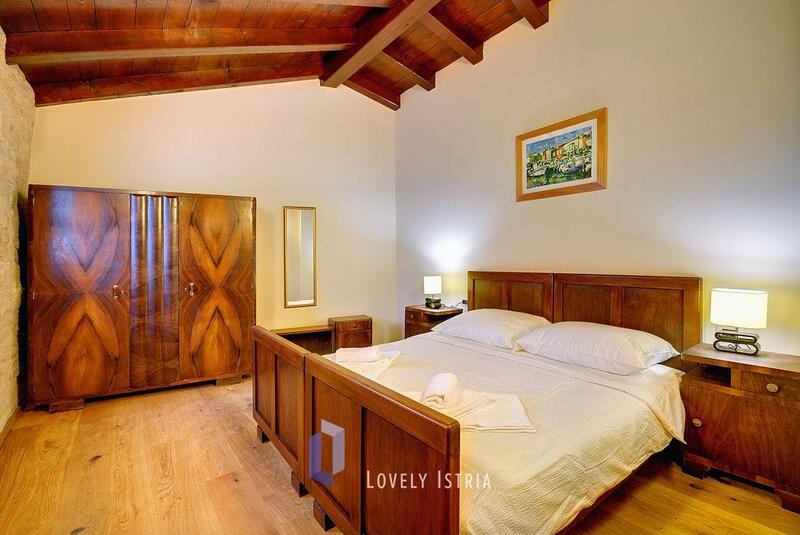 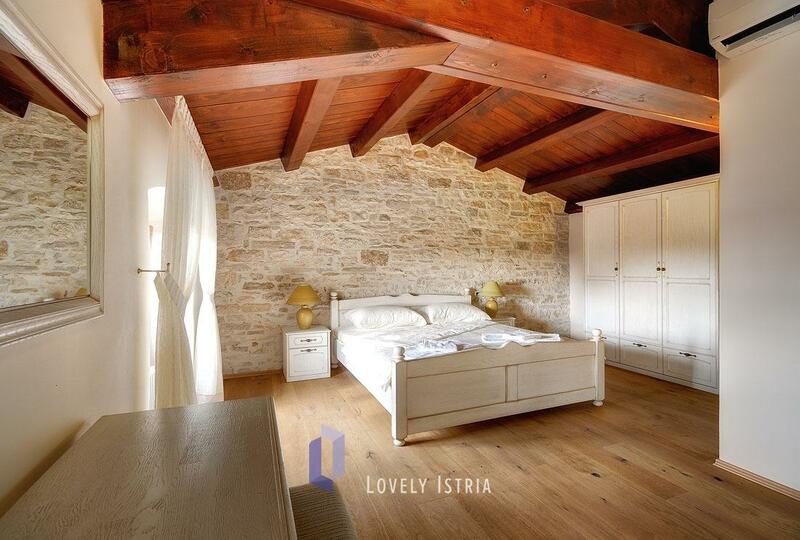 The villa is an authentic old Istrian house, nicely restored with the addition of all of the contemporary facilities. 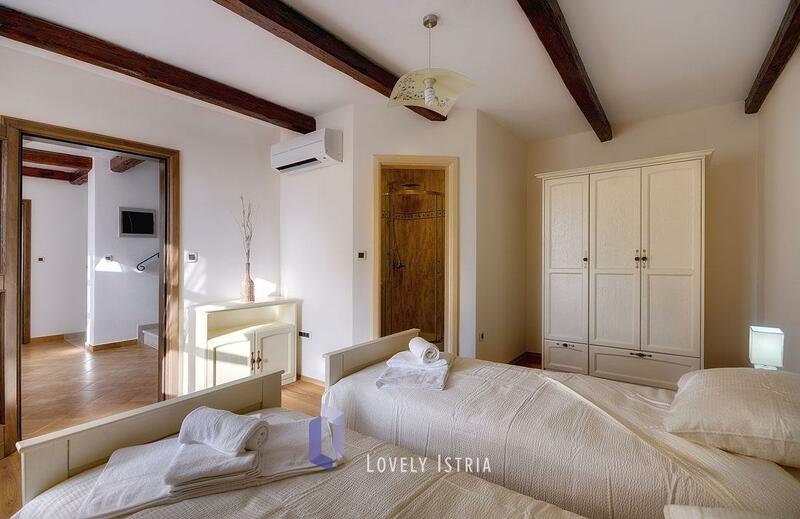 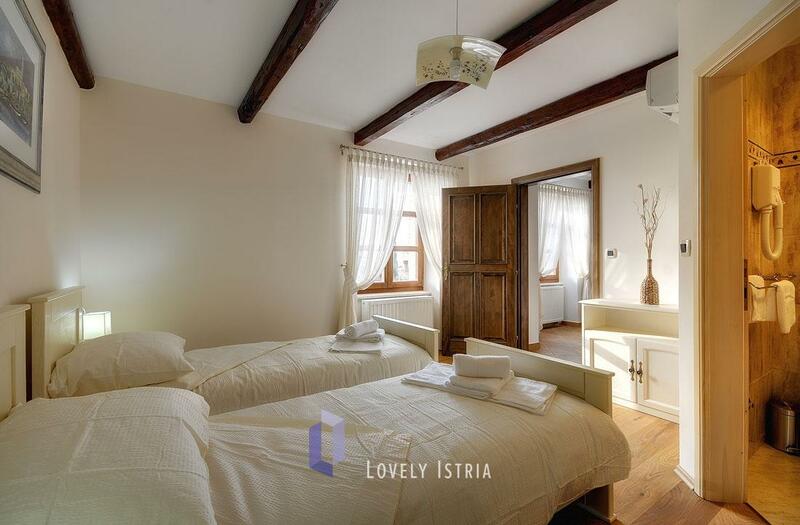 The spacious rooms within the two accommodation units (one large house and one small guest house) may hold ten persons. 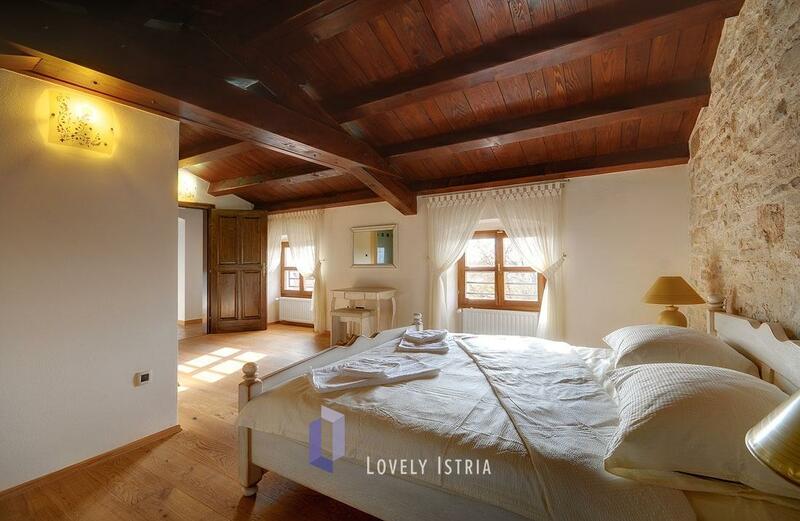 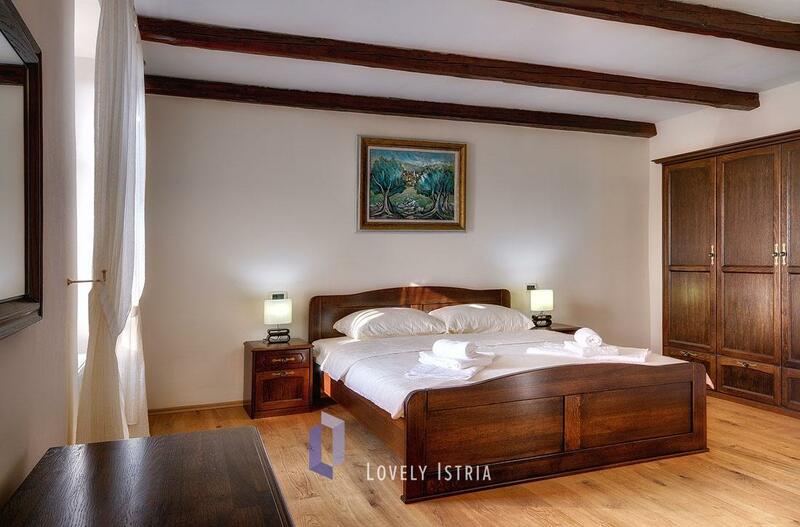 A slight touch of details within the interior reminds us that this is a rustic house – ceiling wooden beams, a sumptuous fireplace, stone walls... For your maximum comfort all of the five bedrooms have ensuite bathrooms. 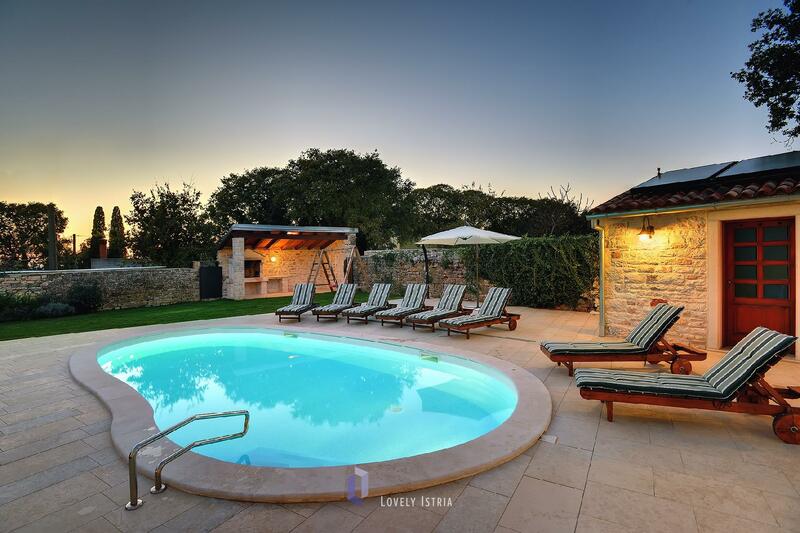 On top of all of this, the house has a wellness with Jacuzzi and a small fitness area. 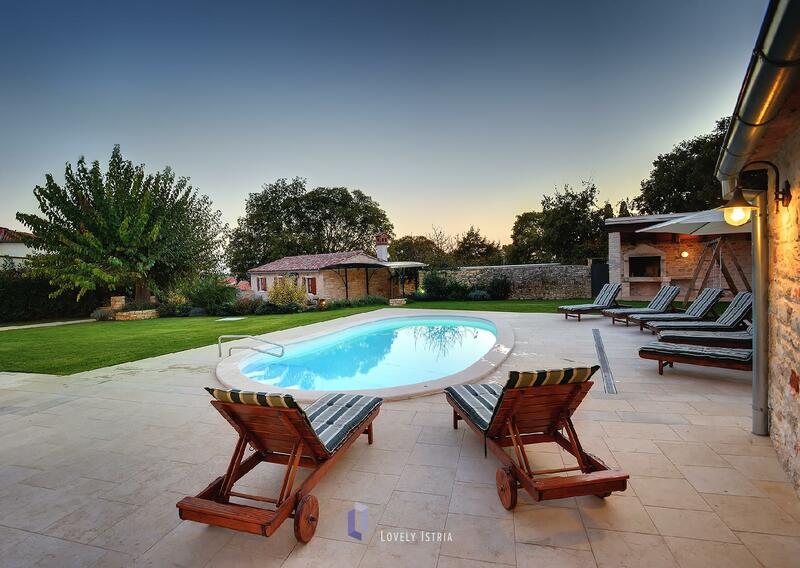 On the outside you will find a garden with a cute green lawn next to the pool and relaxing sun loungers. 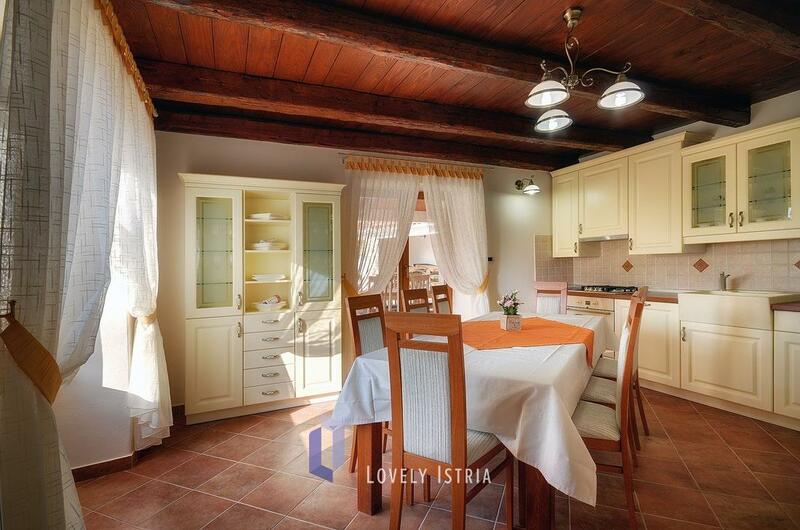 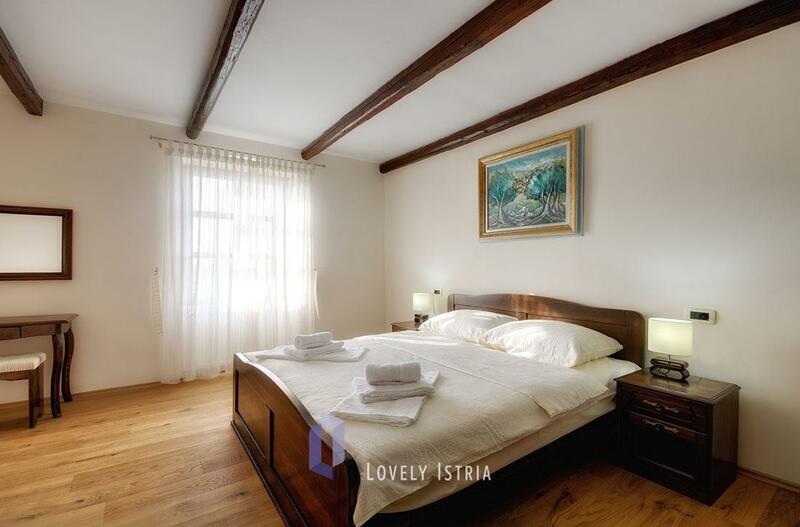 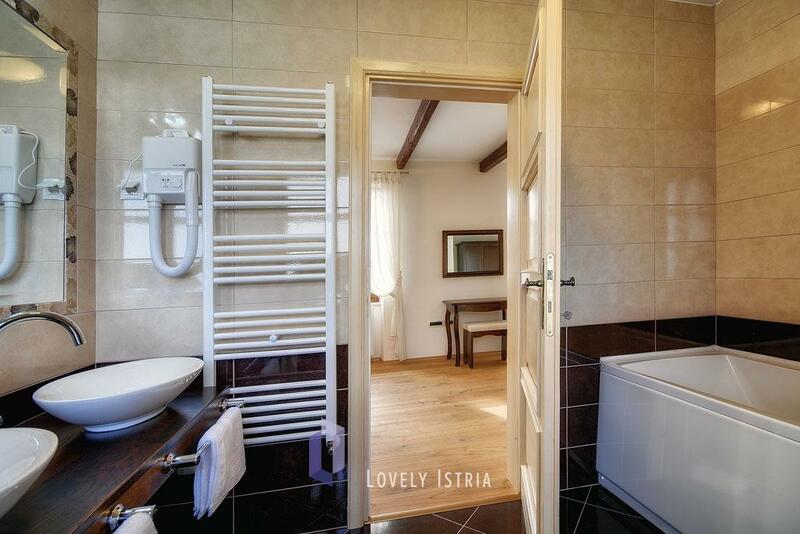 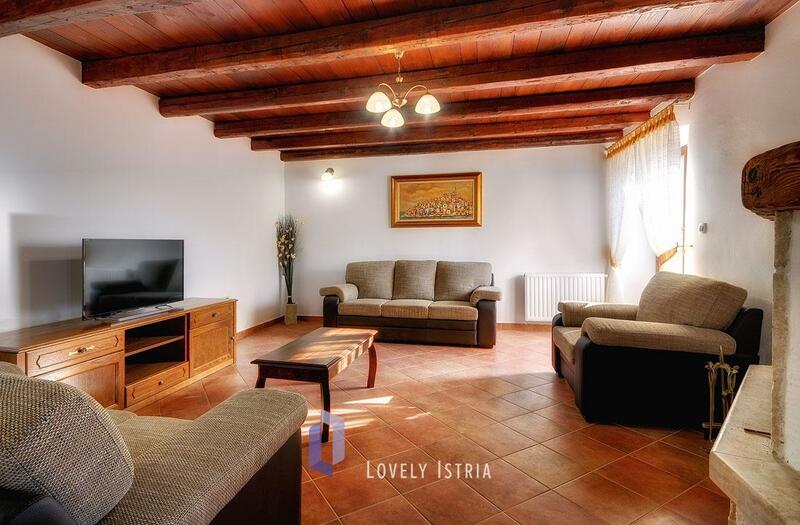 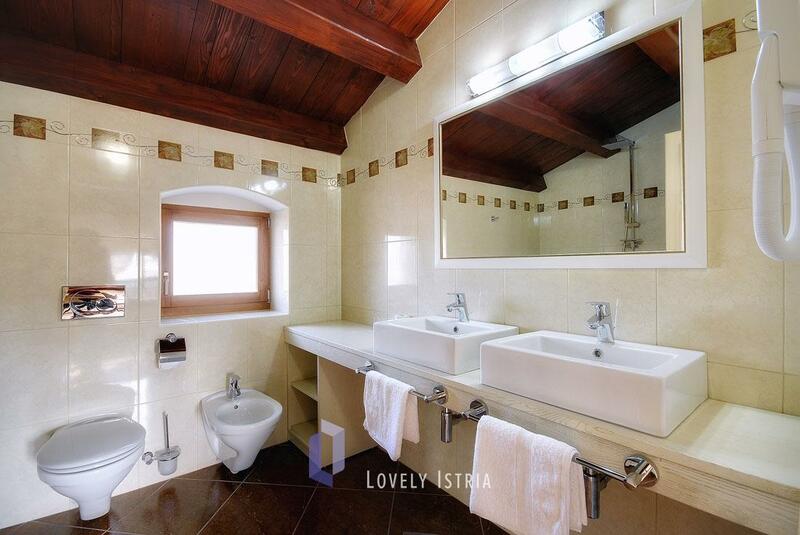 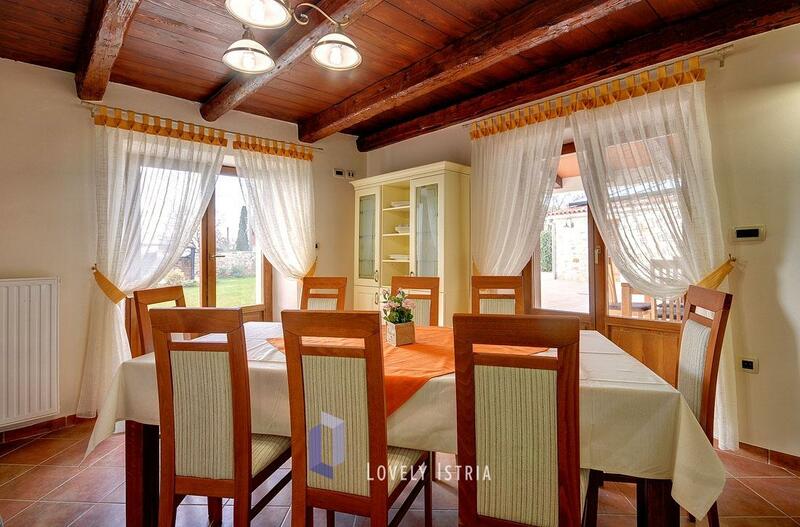 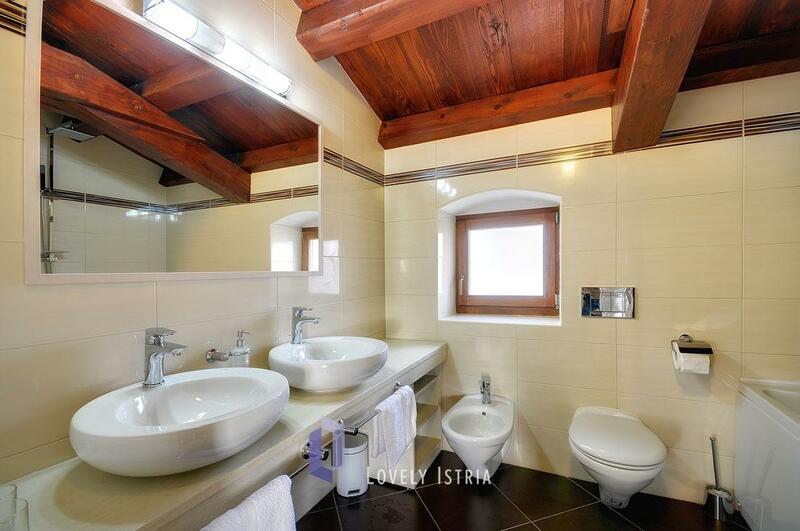 This property is placed in a quiet neighborhood, yet very close to two very attractive towns, Bale and Rovinj. 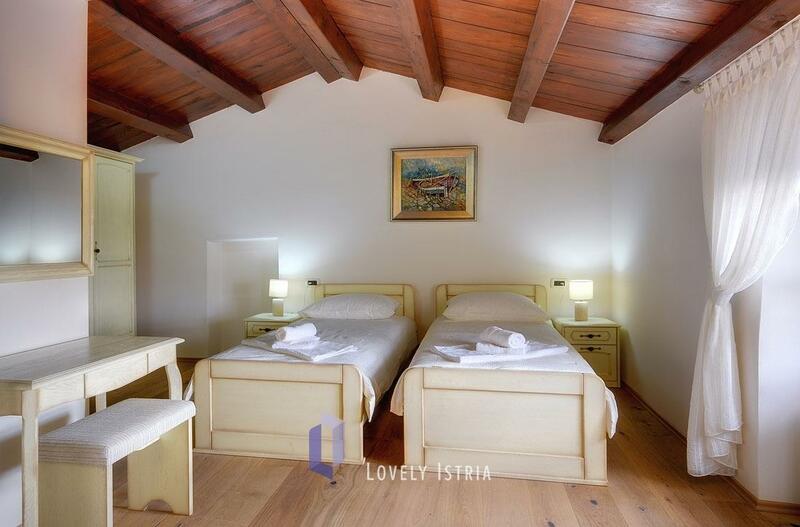 There you can visit the beaches, go sightseeing, enjoy the cuisine of one of the many taverns or have fun during the various events and afterwards return to your privacy in the peaceful Villa Moncalvo. 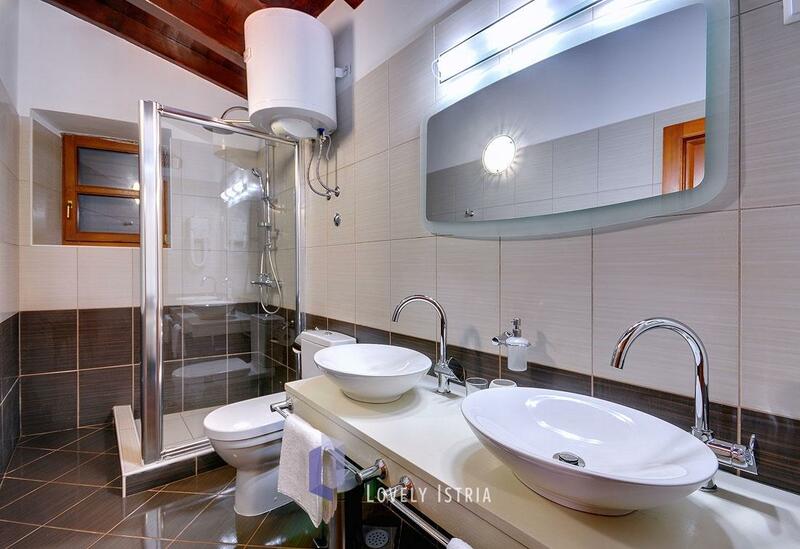 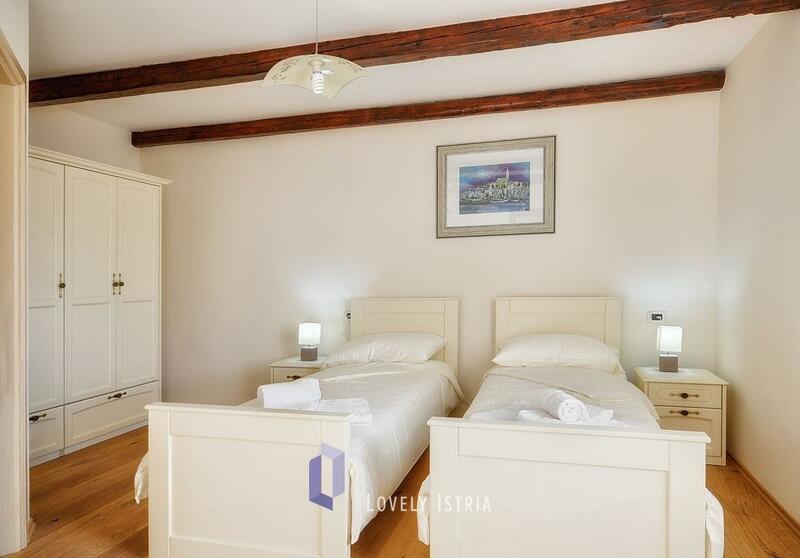 This villa is placed in Stancija Golaš. 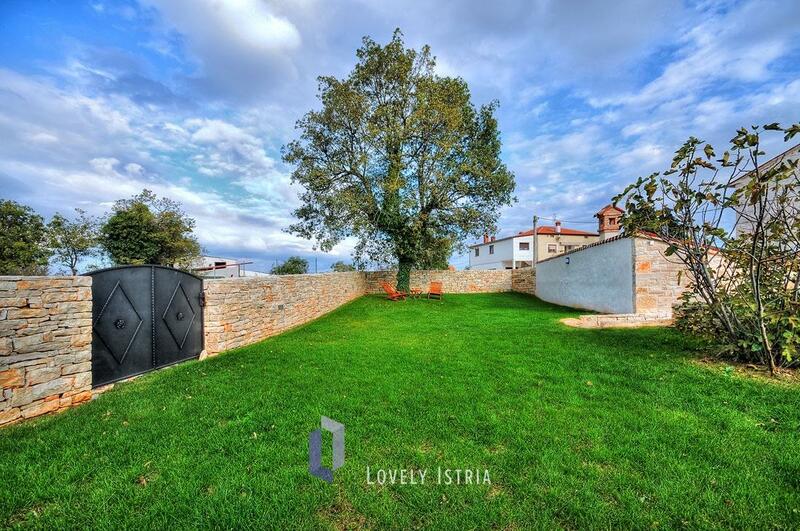 The name “stancija” comes from Italian “stanza” that means “room” and it refers to a type of rural farm complex typical for Istria. 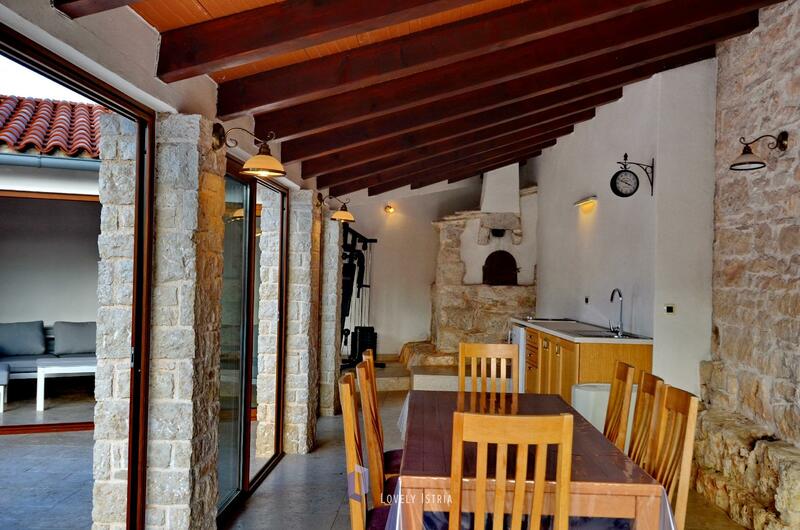 They have all of the elements of rural architecture and area organization, but differ by size from traditional villages. 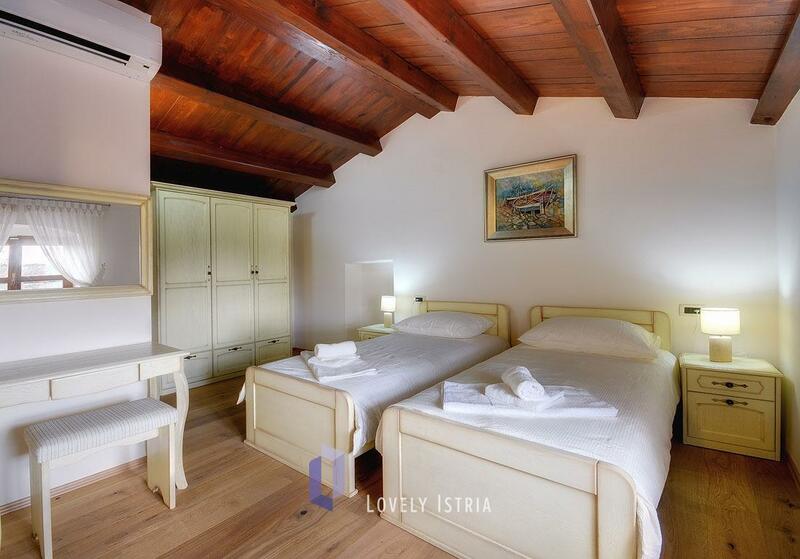 The surrounding area has several interesting attractions and we recommend visiting the charming medieval town Bale or the nearby Park Histria Aromatica. 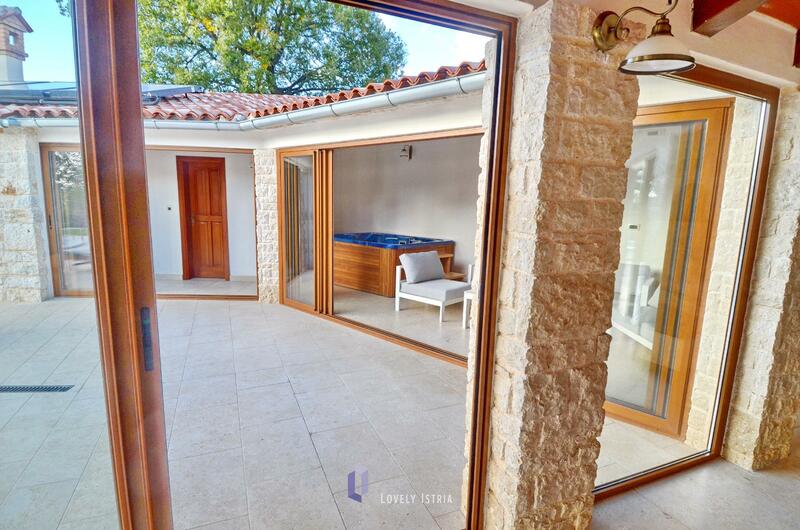 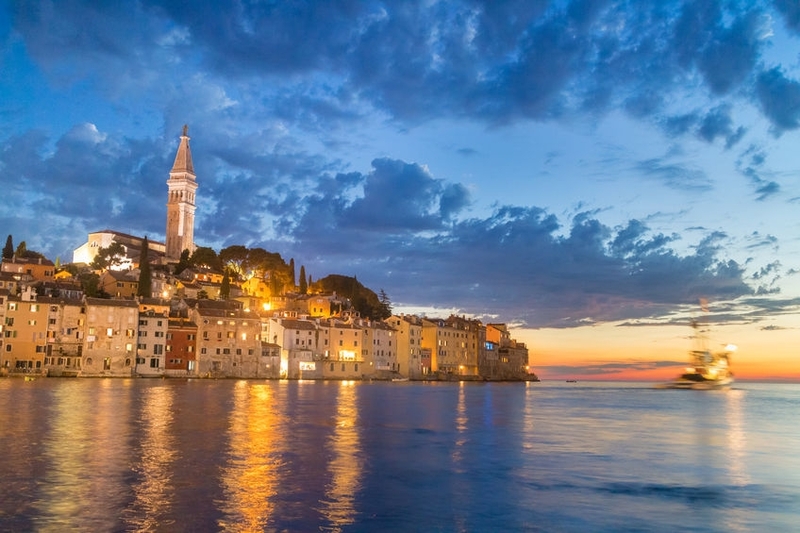 Although the house has a swimming pool, it would be a pity not going to the beach, and the nearest beaches are a few kilometers away, in Bale and Rovinj.